It’s our first meeting and we’re sitting in your small office on the fourth floor of Princes Gate our chairs turned towards each other and our legs kicked out. You ask me what a physicist does. I tell you that they discover and formulate laws of nature and you emphasise that these laws form a picture, conceptualizing and contextualizing our world. You tell me that physicists also create new realities; by materializing what otherwise would have been existing only in potentia. You can help tell people that there is an extremely valuable existential dimension. Science can help us understand why we exist and the conditions of our existence. People think it’s dull, but, it is an inherently creative discipline of the human spirit and soul and a great adventure, the exciting prospect of finding things out. It is worthwhile in its own right and doesn’t need a business case. ‘Be bold about it’, you say ‘tell people that it is a choice they are consciously making about which path to follow’……‘how you cope with being alive’. You suggest that I explain to people that the "world isn't just there".....to be observed, giving absolute answers. It is not black and white; it reveals itself according to the questions we ask. We affect it by our observations and we know that two observers moving fast relative to each other and the speed of light may each give different though correct reports of the same series of events. We conclude that there is an objective reality, though taking into account these complexities; it is possibly unknowable in a complete exhaustive form. Nature through physics demands that we carefully define the experimental context to understand a subtler world and the results lead us to embrace a multiplicity of points of view. We both wonder if these are important lessons from nature for our wider world that seems so quick to pass judgment. Niels Bohr famously said we are actors and spectators and you say that Bohr is referring to physics ‘namely that an electron can appear either as a particle or as a wave and that we as actors to some extent determine what we see as spectators.’ Though, when I read Bohr’s lectures, I find that like us, he also speaks more broadly, drawing parallels with society, and proposing that we seek to understand context and cultural complexities more before deciding or judging. We talk about how context affects our experiences of everyday things. 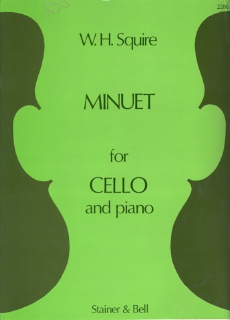 You have a music manuscript at home and the design on the cover looks like a funny head, but when seen in the context of your cellos, looks like two cellos. I say how a painting with blue in it becomes bluer when against a blue wall. And you say ‘colour theory – yes a good example’. Or how a painting viewed under different lighting conditions will appear transformed. You tell me that there are parallels with the Buddhist idea of emptiness where the human conception of things is at a distance from reality and you say that things in themselves are not inherently something specific: ‘is the water in a bucket cold or warm. It depends whether you compare it with ice or steam. ……the attributes we give the world are never independent of us. Reality is the combined state of nature and our perception of it’. And you tell me about the Dalai Lama and his fascination with modern physics and exploring connections with Buddhism and suggest I read his book ‘The Universe in an Atom’. You wonder if this project could show that reality is bigger than what we perceive. That discovery through science is an infinite progression; that mysteries will always be left; that we cannot "grasp the outside of the box from the inside". Maybe you say, ‘Heaven is what is outside’. You work with complexity networks and our entire world is made of levels of complexity: atoms, to molecules, cells, organisms (animals, plants) and so on up, to as Richard Feynman would say ‘evil, and beauty and hope’. And you use statistical mechanics to understand how one level leads to the emergence of the next. You regard emergence as central to scientific enquiry and you say that concentrating our efforts just on looking at more and more fundamental particles is ‘the road to nowhere’. We talk about art that has reflected what modern science has discovered about the world. You mention Dali and his melting watches that hint at the discovery that our world is not mechanistic and that our sense of time is relative. And Cubism, which speaks of our multiple perceptions of things rather than the dogma of single or double point perspective. You tell me that we need many different forms to capture the richness of reality: poetry, painting, music, mathematics, physics. They are all trying to do the same thing. is a theoretical physicist focusing on the science of complex systems. He believes that the world around us can only be grasped in its amazing wonderful richness by the combined effort of the arts, science and philosophy. He believes that this is of particular importance in the realms of teaching. He paints and likes to play the violin.